The future is exciting, but everybody needs a little guidance (some more than others). You want your students’ dreams to come true—so do our college and study aid experts. 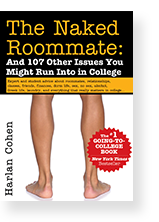 From sharing a bathroom with 40 strangers to sharing lecture notes, The Naked Roommate is your behind-the-scenes look at EVERYTHING you need to know about college (but never knew you needed to know). 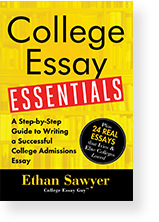 This essential, fully updated edition is packed with real-life advice on everything from making friends to managing stress. ​Want to know a secret about life in college? Everyone—from the social butterfly in freshman orientation to the top student in Bio 101—feels a little unsure about the college experience. And that’s completely normal! In fact, everyone could use a little help sometimes, especially in their first year. We know, because we’ve been there. But don’t worry: We have you covered! 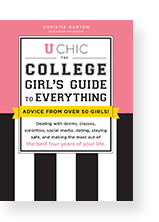 From the day you set foot on campus until the day you wear a cap and gown, get advice from a source you can trust: the expert and diverse team of all-star college students and recent grads behind U Chic. 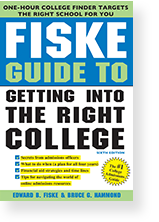 Learn more about the Fiske Guide.